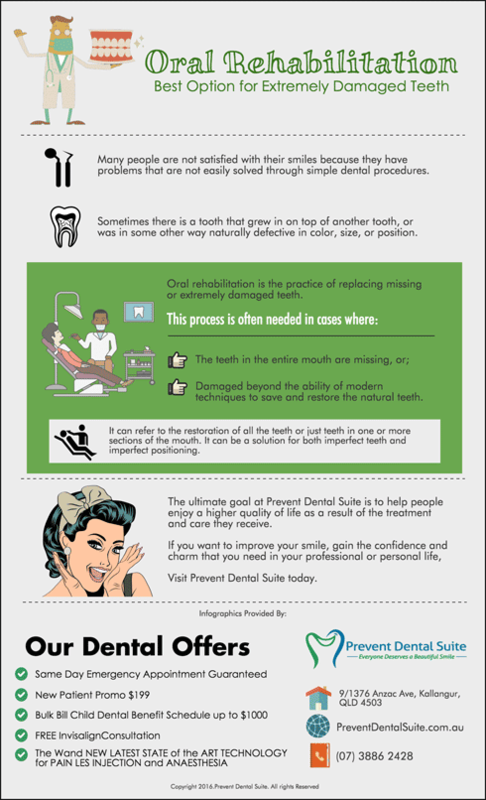 Cosmetic dental procedures are one of the reasons people smile confidently without holding back. As a result, they look more attractive and it helps them feel good about themselves. One of the procedures that deals with enhancing your smile and oral health is oral rehabilitation. When the cosmetic dental treatment expanded, it incorporated oral rehabilitation as another way to improve dental appearances. Oral rehabilitation involves dental procedures that address and correct poorly aligned jaws as well as missing or severely damaged teeth. If you have serious problems with your smile and bite, oral rehabilitation may be the best option for you.